More and more people become the holders of the cool VILAVI Client Card! If you haven't already joined them, then do it now and receive the gifts! 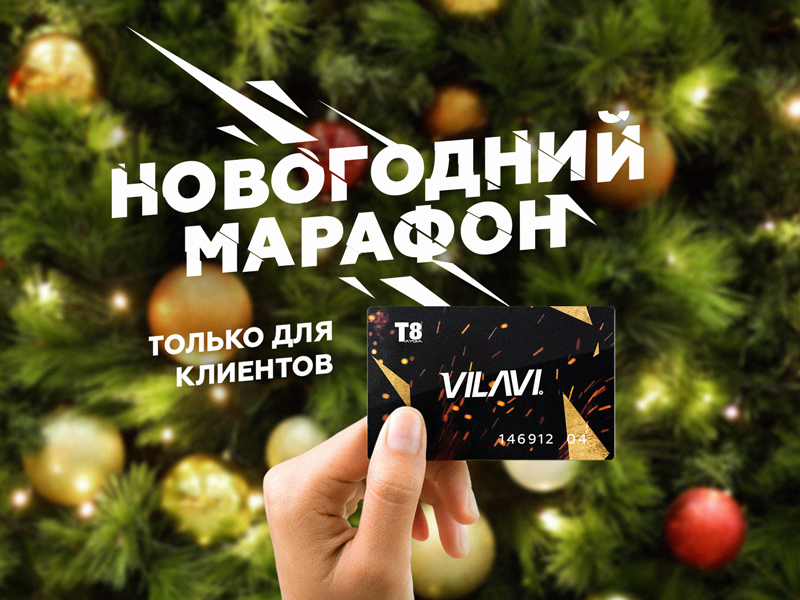 We are launching our new action with nice New Year gifts for our new buyers with VILAVI Client Card. It's simple. From 10 December 2018 to 31 December 2018 inclusive activate your Client Card and make a purchase for any amount. Wait until the required number of people joins the action. All you have to do is just to follow the process on a special promo-page. New Year’s gifts. Are you the winner? We will add the sum equal to the sum you had spent for a purchase with your VILAVI Clint Card to your gift account! We remove restrictions. Each activated client can participate in draws an unlimited number of times with each new purchase for any amount. The more you purchase with your Client Card the greater the chance that you win a gift is! Excitement, drive and an excellent New Year’s mood are waiting for you. Join us!